Liquid tip burnisher seals and protects tip sides, with a beautiful finish. 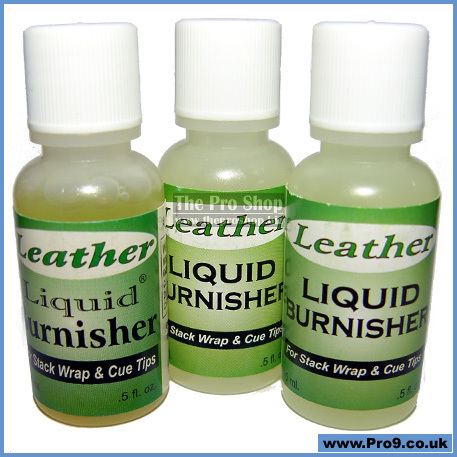 • Clear liquid burnish is perfect for layered leather cue tips. • Apply to the sides of all leather cue tips to seal and protect. 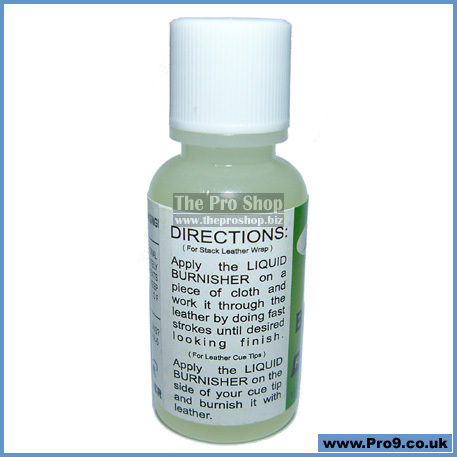 • Use a cotton bud to apply, allow to dry briefly, then burnish with leather. 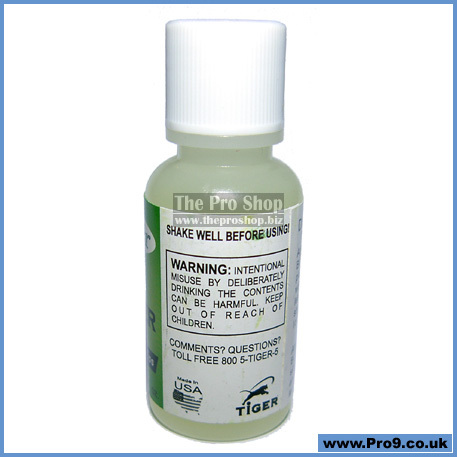 • As used by professional cue makers and refurbishers. Rotating the tip fast in a tip tool placed on the floor can create a lot of heat, this heat can make the tips fibres contract into a tougher, dryer, more compact tip. One way of making a tip harder is to VERY CAREFULLY dance a flame over it, make sure you don not melt the ferrule if you try this. - I made my own jump tip from a Le Pro like this. Here is a way of burnishing the sides of tips without creating any unnecessary heat. I have seen it applied to the sides of a cue tip with a Q-Tip cotton bud (you know, the thing for cleaning the holes in your ears) whilst rotating the cue slowly on a lathe. This Liquid Burnisher comes in BROWN or CLEAR (clear looks nicer on laminated tips) and is a great way to burnish and seal the side walls of any tip. This is what the professional cue repairmen use to give their re-tipping service the professional edge. 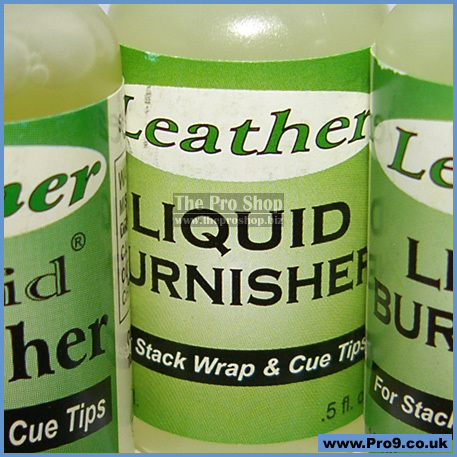 To beautifully seal the edge and help prevent mushrooming on all leather cue tips, and leave a shiny brown or transparent seal.